The Milton Tennis Club (incorporated in 1981) was originally established in 1923 on Main Street. In 1969, the Club moved to Rotary Park off Mill Street. 1983 saw a third location, 670 Childs Drive. In August of 2003, play began at our present location, 800 Santa Maria Boulevard. 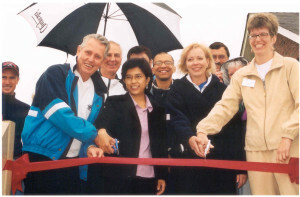 The Grand Opening was held May 8, 2004.